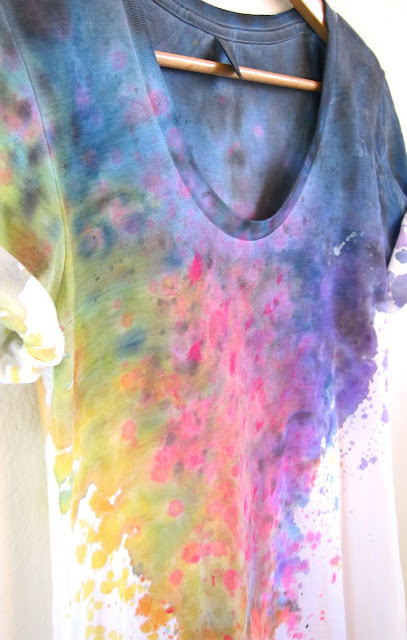 Jet off into space with this awesome tee reminiscent of bright colorful galaxies. It's sure to add flair to any outfit. Each tee dress features a raw edge scoop neck and rolled cuffs with washable safety pins at the sleeves. 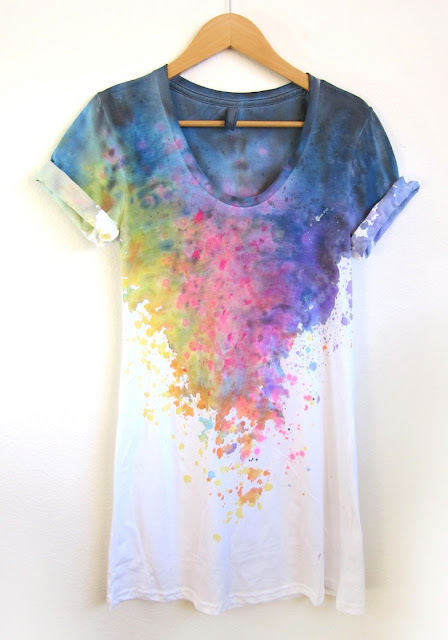 Your tee is then "splash dyed" and hand painted with blues, pinks, purples and yellows by Alyssa. No two shirts are ever alike! Available in sizes: S, M, L, XL.